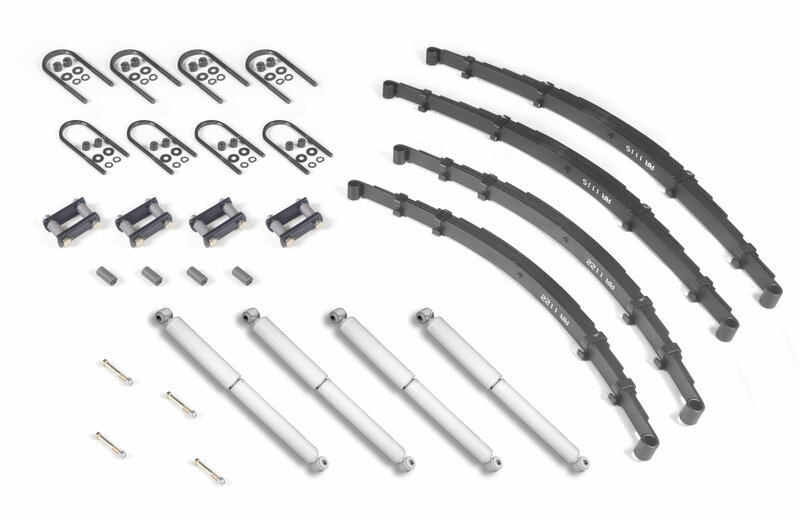 These great Master Rebuild Kits includes everything you need to rebuild the suspension on your Jeep. These kits come stocked with front and rear leaf springs, shocks, U-bolts, bushings, spring bolts, and shackles (where applicable). These suspension kits are covered by a limited three year manufacturers warranty.